Did you ever think about roasting fruit? I think roasting fruit really brings out the sweetness of it. 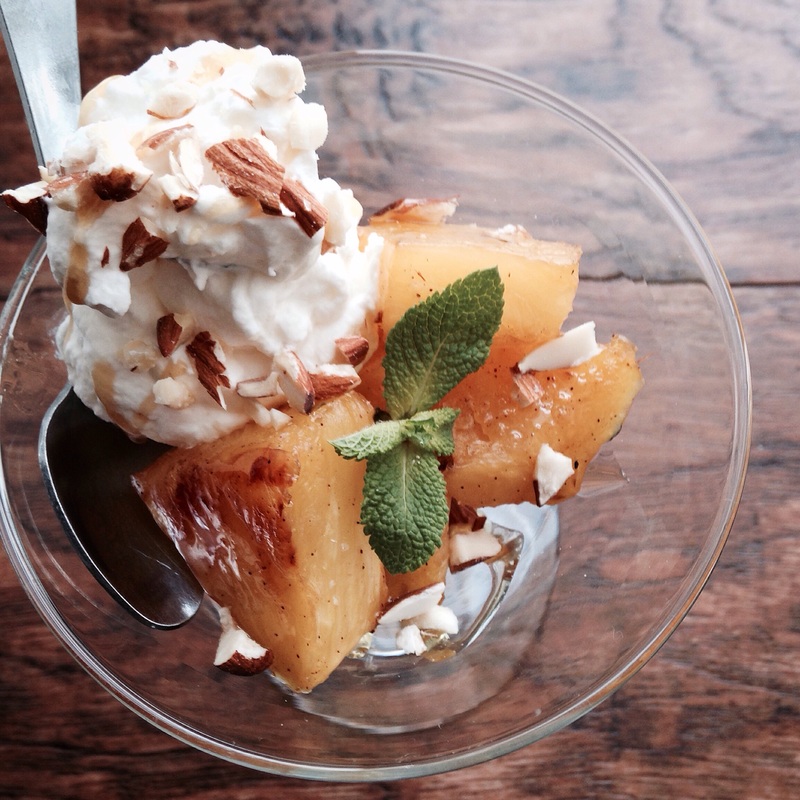 This dessert is a great way to enjoy fruit in the winter months. In the summer we usually grill our fruits because we want to avoid having the oven on. These pineapples came out perfect. I made some homemade mint and lemon whip cream. But feel free to enjoy it on its own or with a scoop of your favorite ice cream. Toss pineapple chunks with brown sugar, salt, cinnamon and lemon zest. Place on parchment paper atop of baking sheet. Roast for 15 to 20 minutes. Half way through turn pineapples. Place on serving dish and enjoy. Place a medium bowl in the freezer for about 5 minutes. Now that the bowl is cold, add all the ingredients to the bowl. Using a standup mixer or hand mixer beat on high speed for about 3 to 4 minutes until you have firm stiff peaks. Serve with you favorite dessert. We grill fruit a lot (we live in sunny Florida), I really love grilled nectarines! Delish.